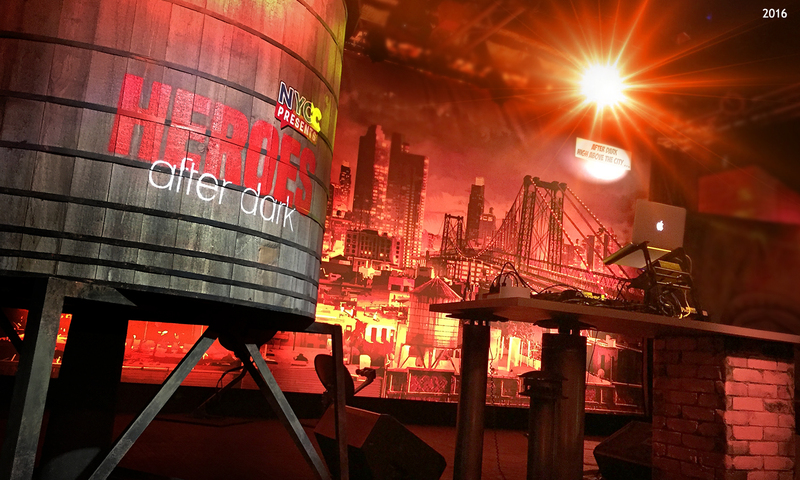 To set the scene for the inaugural year of New York Comic Con’s VIP party at the Highline Ballroom, Clickspring drew inspiration from the iconic image of a superhero at night: perched watchfully above the city, shrouded in darkness and mystery. 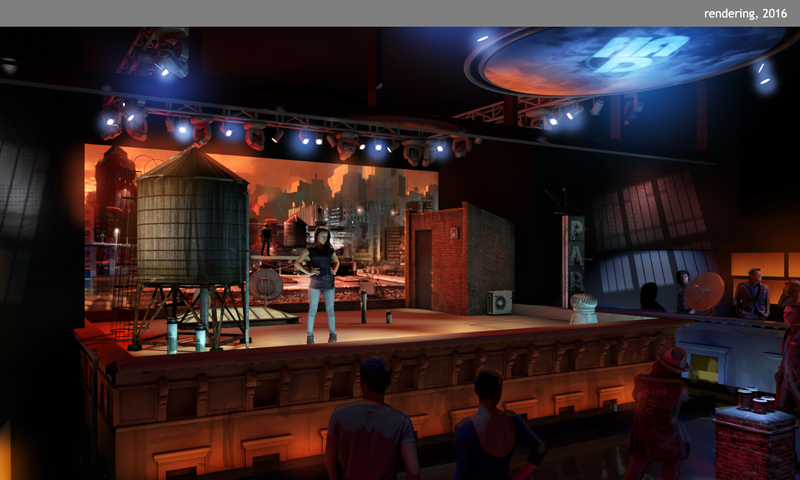 The event stage is imagined as a signature NYC rooftop, with its distinctive wooden water tower and gritty exhaust vents. 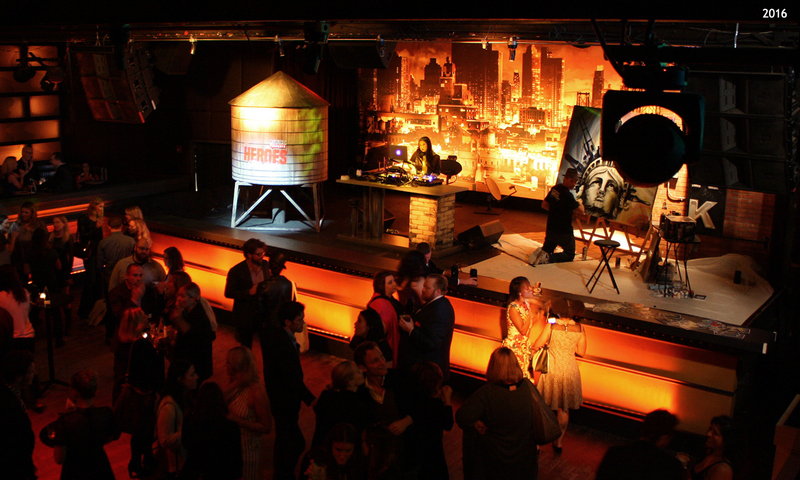 The DJ is heroic, and party-goers are immersed in a scene worthy of their favorite comic or graphic novel. 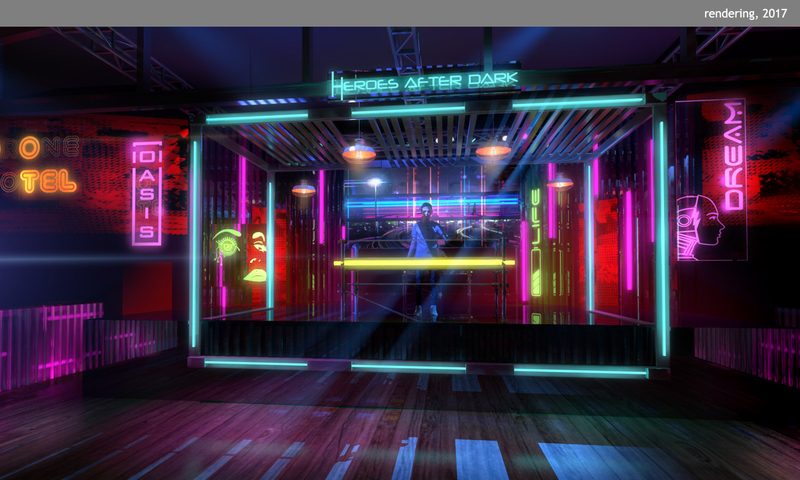 The 2017 event was refreshed with a futuristic atmosphere, cyberpunk mood, and neon-inspired accents. 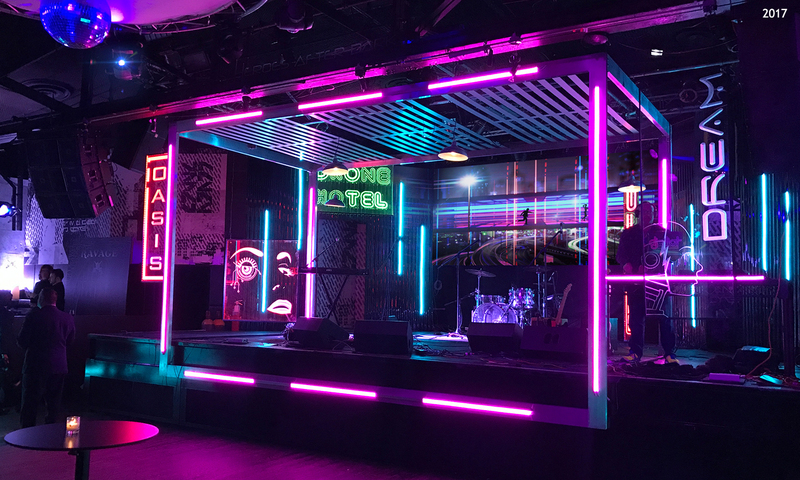 Bright, layered edge-lit acrylic signage and a vivid LED display contrast sharply with the industrial stage setting, meant to recall a converted shipping container. 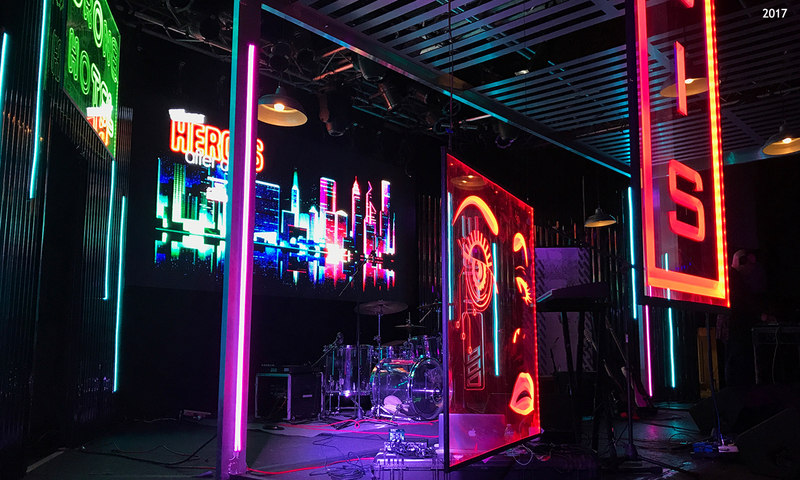 Attendees might feel like they’ve been transported to the dystopian world of Bladerunner 2049, or might wonder whether the DJ is human or machine. We’re already eager to redefine the experience in 2018!